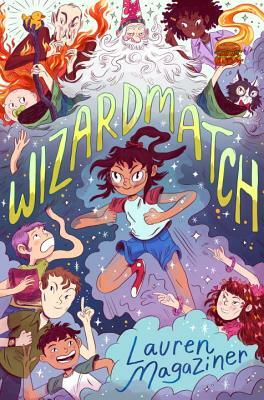 Take the hilarious, magic-infused world of Eva Ibbotson's Which Witch, add the lovable feuding family from The Incredibles, and you'll get Wizardmatch--funny, fantastical, action-packed, and totally heartwarming. Now Lennie has her chance. Poppop has decided to retire, and his grandchildren are coming from all over to compete in Wizardmatch. The winner inherits his title, his castle, and every single one of his unlimited magical powers. The losers get nothing. Lennie is desperate to win, but when Poppop creates a new rule to quelch any sibling rivalry, her thoughts turn from winning Wizardmatch to sabotaging it...even if it means betraying her family. Lauren Magaziner is a graduate of Hamilton College, and wrote her debut book, The Only Thing Worse Than Witches, while studying abroad in Scotland her junior year. Lauren lives in Brooklyn, New York, and writes full-time.